Catseye has been recognized as one of the top 100 companies in the Pest Control industry, a ranking of the top companies based on annual revenue, year after year since 2008 by the two pest control industry trades, PCT (Pest Control Technology) Magazine and PMP (Pest Management Professional) Magazine. In 2013, Catseye was named to the Inc. 5000 list of fastest growing private companies. In the same year, the EPA (Environmental Protection Agency) named Catseye to its Pesticide Environmental Stewardship Program for reducing the potential health and environmental risks of pesticide usage and incorporating integrated pest management (IPM) approaches into its services. Additionally, Catseye has been recognized on several occasions for local, regional and national advertising awards for its exceptional marketing strategies and as a top company to work for in the markets it operates in. Very happy with the barrier installation as well as the crew that installed it. 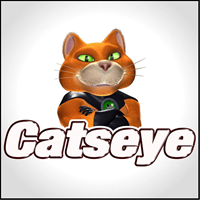 I have had clients use Catseye in the past. So I was able to see their work first hand. I was impressed with their honesty about the scope of work. So when we found some unwanted house guests we called right away. Service was fast and professional! Top notch and professional crew from Steven who did the initial inspection and scoped the job, Will who set the initial traps, Matthew and Jason who removed the wildlife, and Aaron and Joe who effected the necessary repairs and performed the final clean up and sanitizing of the space. Great job guys! I really appreciate your attentiveness to detail! SO FAR I AM VERY HAPPY WITH YOUR SERVICE. THE EMPLOYEES ARE DEPENDABLE, FRIENDLY AND INFORMATIONAL. We just had our home rodent-proofed and our shed rabbit-proofed. We were happy with how the installations went and feel peace of mind that Catseye will stand by their work. We also switched to them for our regular exclusion service. We have been extremely happy with Catseye so far. Sam, Jeff, James and Sean were all wonderful. They spent days at our house setting up the catguard- as we have had problems with bats and mice. They were all punctual, patient, honest and answered all of our questions! James even spent a few minutes with me and my children, teaching us all about bats. I would recommend the company to anyone! I am very pleased with Catseye Pest Control! Starting with the inspection by Steven Richard, working with Kristen, customer Relations Manager and having the work done by Michael, the Tech. Everyone is professional, knowledgeable and efficient. They are doing a great job getting my mouse invasion under control! I highly recommend them! And now it is so clean, we are very pleased with the results. We will use cataeye in the future IF. Needed. Service could not be better. Highly recommend. One of the best services I’ve ever done for my home. Chad was very efficient and attentive on his walk through. To be updated: so far so good. We’re waiting for the last critter to be caught. 3 grey squirrels so far. Conner is terrific, the company is doing just what was promised. Very professional crew. Expensive, but better than living with rodents as roommates.... And sales pitch was friendly and not pressured. Great team of professionals that do the job right the first time. I feel totally satisfied that they have once and for all fixed the wildlife problem that I had at my residence. You cannot go wrong with Catseye. This team is very professional! Catseye is an outstanding pest control service. Every technician who has come into our home in the past few weeks has been both knowledgeable and professional. Our deer mice situation, inside of our home, was quickly under control thanks to their expertise. The work, completed on the exterior of our house, resolved issues promptly. My wife and I highly recommend Catseye for all your pest needs. Great customer service! Great results! Highly recommend this company. Excellent service. Professional and very thorough. 2/18/2019 I can sincerely and wholeheartedly recommend thiscompany and every employee I’ve met or spoken with on the telephone. Do not use the regular pest control companies, who in many ways are stringing you along with more and more of the same and no results. Catseye is MUCH MORE knowledgeable, determined and effective. Very happy with the service. Always on time and very professional. I did what I normally wouldn’t do and that is hired them on the spot. I am so glad I did. They did an outstanding job taking care of our squirrel problem and the repair in record time. I will hire them again in a heartbeat! Thanks so much to the crew who did our work in Mansfield, Mass! The Moores. If you have a squirrel problem call Catseye Pest Control. I am quite pleased with how they operate. They came out to my home and accessed the problem and came up with a remedy which was most effective. They laid the traps to catch the squirrel and within twenty-four hours the rodent was caught and taken away expeditiously. Then they sent out other experts to seal up the point of entries in a thorough professional way. I am quite pleased with the finished product. Hopefully, I will not need Catseye again in the future, but, if I do, Catseye will be the first call on my phone. Like what you have done. I give Catseye an A+. After living with at least one family of squirrels for over five years, they came in and got rid of them in less than five days. Catseye has been awesome over the last month helping us get rid of all the mice in our home. John has been very successfully trapping over 20 mice. The level of service to seal and prevent the mice from getting back in has been fantastic. John was very thorough spending hours to seal the cracks in our cellar as well as boiler room and since we have not seen any mice! I have a $10,000 generator in my yard. Last winter the mice got into it and tore apart the air filter for use as nesting material. Lat winter I was in Aruba when we lost our power and the generator would not turn on because the filter was gone. I called several electricians and they did not have a good solution. I called the generator manufacturer and they did not have a good solution. I called several major pest control companies and their solutions did not work. I finally called Catseye and they had the solution. Now my generator is encaged within screening material that is impervious to the mice. It has doors and a roofing panel all of which can be opened to gain access to the generator to service it. Catseye had the solution and they built it and installed it in a professional way. They earned 5 stars. I'm going through my first winter with Catseye mouse and Bat free so far thanks to them! We had places in the upper area of our home where bats and flying squirrels could get in and they closed that up in the season when you can do that and we are free of bats! I also had a mouse issue last winter and Catseye came and sealed up many areas in our foundation and suggested I also hire a mason to close up areas in my foundation wall where we had a large hole. I realize now how much mouse PTSD I had. I have not a trace of mouse activity so far this winter. Each one of the Catseye professionals have been excellent, kind, supportive and work efficiently. I am incredibly thankful. I do wish they could bring their monthly price down a tad. I owe them a debt of gratitiude! I feel safe and at home in my home because of Catseye! Pam from Auburndale. There is no company for pest control better than Catseye. Period. They are second to none. John has been our technician, exceptional! Thank you everyone at Catseye! Since the moment I called Catseye, we have been nothing but pleased. Within a day, Tyler was at our house inspecting, and since that time, techs have made regular visits to check the traps and seal up our house so that no more mice can enter. Every person from the woman on the phone who books the appointments to the men who installed the siding and filled the holes, to Sean and Matt who have come every few days to inspect, have been phenomenal- efficient, knowledgeable, and very personable, answering every one of our questions and explaining everything they do. We would highly recommend them to anyone with any 'critters' in the home or work space. Previous reviews have bee submitted. Everyone that I have worked with from Catseye has been friendly, knowledgeable, helpful, and professional. They respond quickly, show up on time, and do a very good job. I am glad to have found them as a provider of pest services. I hope I will not need them again but I will not hesitate to use them again if I do. Good service and friendly reps.
CatGuard: Gari and his team of installers were on time, efficient, professional and competent. Very please with their work. CatsEye: Matt has been our main tech guy. He is also a credit to your company. Because of these employees I will happily recommend your company to friends and family.